One of the greatest struggles the human race has ever faced is that which concerns our planet Earth, the one and only planet where we live, and that struggle is the fight against climate change. Our Planet Earth was given to us by God as a gift. 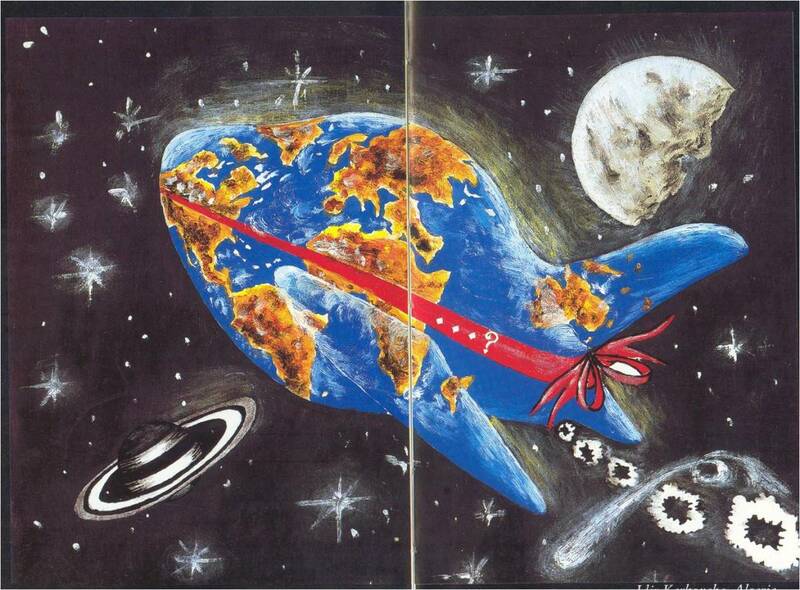 What do you think are we if the Planet Earth is an airplane? Are we passengers or pilots? Our world’s resources are under enormous pressure. Refers to the phenomenon where certain gases in the lower atmosphere absorb the heat radiated by the earth, thereby preventing the heat from escaping to outer space. We are on a struggle. Struggle to survive and to prosper. And one of the greatest struggles the human race has ever faced is that, which concerns our only one planet where we live – the fight against climate change. Most scientists regard anthropogenic (human-caused) global climate change to be the most important environmental issue of our times. evidences gathered by the scientists around the world suggest that global climate is already changing as a result of human actions. They found out that in the past century, precipitation has increased by about 1 percent over the world’s continents. High altitudes are expected to see more rainfall, while in some tropical areas precipitation has actually declined. Apparently, warmer temperatures are causing more water evaporation. We are expecting this to produce more severe rainstorms, hurricanes, tornadoes, typhoons and even floods. In 2003 at least 30, 000 people died in Europe’s hottest summer since 1540. Climate models given by the scientists show those temperature extremes like this will become increasingly common by the end of this century if greenhouse gas emissions aren’t reduced. Over the past 200 years, atmospheric concentrations of CO2, CH4, and N2O have increased by over 31 percent. Carbon dioxide is the most important cause of anthropogenic climate change. Burning fossil fuels, making cement, clearing forests and other human activities release nearly 30 billion tons of CO2 every year containing 8 billion tons of carbon. About 3 billion tons of this excess carbon is taken up by terrestrial ecosystems, and around 2 billion tons are being absorbed by the oceans thus leaving an annual atmospheric increase of some 3 billion tons of carbon per year. In Metro Manila alone, excessive carbon emissions are virtually evident. On day time, try to stand in at least 5th floor building; you’ll have some view of how unclear the atmosphere is, and how dusty the air you breathe is. On nighttime, try to look at the velvety sky, and the stars you can see are already limited. You can not anymore see those which must appear smaller unlike when you view it in the rural areas which has better atmospheric conditions. If current trends continue, climatologists warn that by year 2100, mean global temperatures will probably warm between 1.50 C and 60C (2.70 and 110 F). Global climate change is already affecting a wide variety of biological species. Many wild plant and animal species are being forced out of their current ranges as the climate warms. Likewise, coral reefs are bleaching because of higher water temperatures. British scientists warned that by 2050, even the lowest estimates of potential climate change suggest that 1 million species could be driven into extinction. If migration to more suitable habitat is blocked through fragmentation, more than half of all tropical species might be eliminated. Satellite images show that the Arctic sea ice is 40 percent thinner now and the Antarctic Ice Sheet has shrunk 25 percent over the past 25 years, including some of the giant icebergs. Alpine glaciers everywhere are retreating rapidly. Over the next 50 years, at least half of all alpine glaciers in the world could disappear. Without these glaciers, agriculture, industry, power generation and drinking water supplies will suffer. In the past century, sea level has risen approximately 15-20 cm (6-8 in) worldwide. About one-quarter of this increase is caused by the melting of alpine glaciers and half is due to thermal expansion of ocean water. Do we have something to do to alleviate this problem considering that we are too small? One song says, “tuldok ka lang sa mundo”. But no matter how tiny as a dot we are, we can scribe a difference, we can touch the world. Recognizing the need to address climate change, and anticipating its effects on people’s life, we as educators need to make substantial contributions to the alleviation of environmental problems by making the students environmentally literate and responsible as regards causes and effects of global warming and climate change. To be effective, the infusion of environmental education concepts in any subjects, so to speak, requires strategies and learning experiences that are planned, focused, experiential, participatory, anticipatory, and cumulative. How can we motivate students to take concrete steps on how to stop climate change towards promoting sustainable action? Even if there is a commitment to provide environmental education in general and biology in particular as a saving grace, the question remains; how should ecological concepts in biology be taught to students? Biological sciences offer excellent opportunities to teach ecological concepts. Similarly, environmental issues with direct biological implications could be logically dealt with, like global warming, climate change, endangered species, population control and others. Environmental Education (EE) is seen to be the development of understanding about our environment; positive attitudes towards the earth and its life; and confidence and skills to make positive changes. However, a key determinant of student achievement is the quality of teaching. To be effective, infusion of environmental education concepts in any subjects so to speak, requires strategies and learning experiences that are planned, focused, experiential, participatory, anticipatory, and cumulative. All students must have access to learning about the environment. 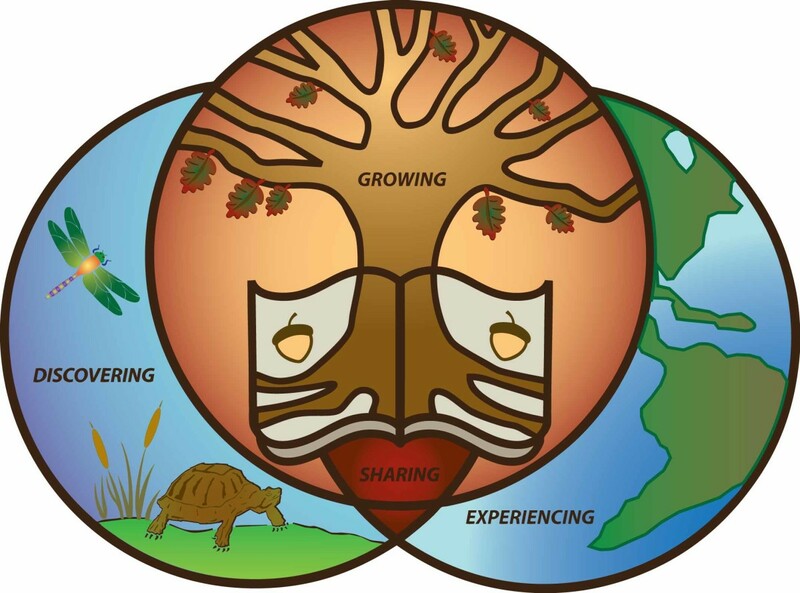 The knowledge and concepts base must include the students’ ability to demonstrate an understanding of the ecological processes that support life on our planet, man’s interaction with the ecological processes and an understanding of the effects and the likely implications of change. Likewise, the students should be taught how to recognize the causes and effects of environmental issues make responsible decisions about the environment and take personal action to ensure an ecologically sustainable future and to take collective action to ensure an ecologically sustainable future. Biological sciences offer excellent opportunity to teach ecological concepts. Since only few students are taking course in ecology, the general biology courses become a practicable choice for teaching basic ecological principles. Correspondingly, environmental issues with direct biological implications could be logically dealt with like endangered species, population control, global warming, climate change, waste disposal and others. Specific laboratory strategies could also be taught which have direct application to environmental concerns like in testing for biological oxygen demand, testing for nitrates and other nutrients in water resources. Participatory learning is a group-learning approach where the students are allowed to take an active part in the learning process in which they have a maximum measure of freedom and self-determination. Participatory learning is a group learning approach where the students are allowed to take an active part in the learning process in which they have a maximum measure of freedom and self-determination. The students are allowed to attend personal meetings, enjoy interactions and have acquaintances among them, and between others and teachers, and times and space for turning the acquaintances with people and things into experiences. Participatory learning strategy has its place in the Group Investigation Models of Learning. It is the instructional utilization of small groups of 3 – 8 members in which learners are allowed to work together to accomplish a common goal and to maximize their own and each other’s learning (Johnson and Johnson, 1994, 1999; Ajitoni, 2005). Participatory learning strategy as a philosophy of learning has its theoretical or speculative basis in the behaviorists; the cognitive theorist, the constructivist, and the social leaning theorists’ views of learning. According to Kohle (1982) participatory learning strategy provides more than enough chances for four stages of adult learning: concrete experience, followed by reflection on that experience on a personal basis; next comes abstract conceptualization which is the derivation of general rules describing the experience, or the application of known theories to it, and therefore to active experimentation, the construction of ways of modifying the next occurrence of the experience leading in turn to the next concrete experience. The improvement of developed, participatory, experiential active and creative learning is binded with three environmental conditions, which should be satisfied in the classroom. These are: (a) a maximum measure of freedom and self-determination, (b.) time and peace for turning the acquaintance with people and things into experiences, and (c) the chance of personal meetings among the students and between students and teachers. Grouping of students emphasizes active participation on the part of learners. Participation in small group discussion may help some students learn and remember (Muyanda – Mutebi and Yiga-Matovu, 1993). Williamson (1990) observed that group activity fosters personal involvement, encourages cooperation and sensitivity among the participants, and may help to clarify knowledge and values. In addition, there is a growth in students’ cognitive outcomes freedom for the students to learn, a freeing of teachers’ time to assist weaker students, and improved social and ethnic relations. Groups provide a vehicle whereby learners can seek to influence decisions which affect them directly. In grouping, each individual has a unique and important role to play. In the dynamics of group learning, Thelen (1984) suggested about 10 to 15 students. The argument is that the number is large enough for diversity of reactions and small enough for individual participation. If the group is too large, it will be difficult to provide an opportunity for every student to participate during each class and will not enable the group to relate productively. If the group is too small in size, the diversity in the group will not provide sufficient ways of viewing a situation and will not contain enough potential among its members for finding the right solution. Previous studies done by educational researchers, academicians and educators suggest that encouraging participation in environmental activities is a promising technique for improving students’ environmental knowledge, particularly on the issues on climate change and global warming. Baez, A.V et al (Eds.) (1987) Science, Technology, Education and Future Human Needs; vol. 8; Oxford: Pergamon Press. Bennett, N. and Dunne, E. (1992) Managing Classroom Groups. Chettenham, England: Stanley THORNES Publishers. Button, L. (1982) Group Tutoring for the Form Teacher: A Developmental Model, London; Hodder and Stoughton. Cohen, E.G. (1994a). Designing Group work (2nd Edition), New York: Teachers’ College Press. Cohen, E.G. (1994b). Restructuring the Classroom: Conditions for Productive Small Groups, Review of Educational Research, 64 (1), 1-35. Kelly, E.E (1981). The Workshop-way of Learning. New York; Harper and Row Pub. Kohle, K. (1982). Freedom, Peace and Personality. Education: A biannual collection of Recent German Contribution to the Educational Research, 24. Slavin, R. E. (1995). Cooperative Learning: Theory, Research and Practice. Boston: Allyn and Bacon. Global climate change is already affecting a wide variety of biological species. Many wild plant and animal species are being forced out of their current ranges as the climate warms. Likewise, coral reefs are bleaching because of higher water temperatures. One must know the consequences of the modernization. Moreover pupils must learn how to be responsible accountants and managers of the environment. Velasquez, Ciara Jane Nicole S.
Global warming is the challenge of our times. It is important not as an isolated, ambiguous theory or political wedge issue but how the reality of global warming impacts nearly every aspect of humanity and life on Earth. Whether it be the economy, sustainable development, politics or realizing our place in the web of life that sustains us, understanding global warming is central in meeting the challenge and opportunities of the 21st century. Infusing Climate Change Issues in Biological Science will be of great help for students as it would serve as a go-to resource for news, commentary and education on all aspects of global warming. 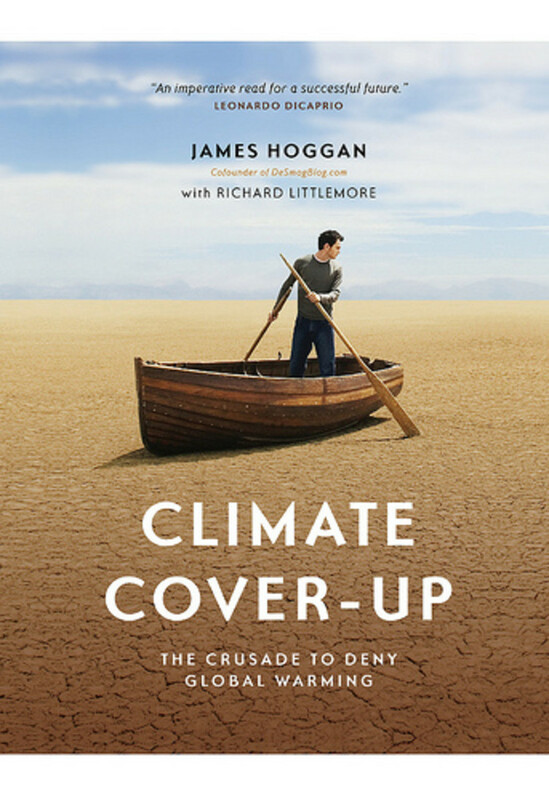 From first-hand reporting and thoughtful commentary to the latest in climate science and solutions, it touches on a range of issues including climate change, managing population growth, alternative energy, battling the politics of denial, and more. Awareness is the first step in facing the challenge of global warming. Within that challenge is an opportunity to build a better world for ourselves and for the generations that follow. It is very delightful to think that it would increase all of our understanding on climate change, the science, politics and economic factors that shape our future. With awareness of the interconnected issues of energy, climate and sustainability we can be an active part of the solution of global warming. Learning how we can reduce our personal carbon footprint and money saving process, learning about climate policy, renewable energy, getting the facts on climate change and learning about the solutions are some of the lessons that we could derive from it. BSA 1-3 INGALLA, Rolaine Ann B. Biological science makes me more aware of what’s happening to my home right now. Climate change and global warming are very alarming because they can result to the destruction of the entire planet Earth. Together we should move and make a change. Climate Change is a change in the statistical distribution of weather patterns when that change lasts for an extended period of time. Knowledge about Climate Change should be given by the teacher to their students so that they will be aware on their environment, about the things going on, about the issues or problems. As an accountancy student we should know how to solve problems we should always come up with solutions everytimes we face problems. Climate Change is a problem that we are all facing this days. It is where the temperature changes to like extreme heat which cause to melt the ice on the polar regions which is also the cause why the water levels are rising due to the melting ice. That is why we must be all aware of the current situation and we must take or have a role to save planet Earth for the next generation of people and their lives. Awareness of Climate Change and Global Warming is the first step in defeating the world-wide dilemma. Global Climate Change is man-made and as they say, two wrongs doesn't make a right therefore we should be the one who should stop and solve this mess. What better way to open man's eyes than to show it to an innocent soul? Starting young, especially to students, is a great way of educating the future leaders of our nation to love our own home. This way we can prevent history from repeating itself and have an edge against what we have inflicted. However we should not put the responsibilities to the youths and make them carry the burdens because everyone can act against the global predicament. It is a battle of mankind against itself and everyone must participate in order for us to claim the victory, not just for mankind but also for Mother Earth. Climate change is one of biggest problem we are facing. It is the changing of climate which can melt the glaciers in pole regions and cause of rising of temperature in different parts of the world. And when this happened, it can we will encounter more problems. But always keep in mind that it is not too late to make a change. We must do something to stop this. The future is in our hand. The devastating impacts of climate change are clear. Our world is warmer than ever before, and people and wildlife are already suffering the consequences.It’s time to stop the destruction. We must not only slow the rise of carbon dioxide in the atmosphere but we must reduce it.That means that even making small changes in what we do, or how we do it, can help prevent the climate change. we can make difference, we just need to start changes. Climate change is indeed a serious matter that threatens our mother earth. We must show our deep concern to the planet we are living to, for we are the instruments of God in order to protect this planet. Climate change affects the life of all organisms that why most of us struggle. The species in different part of this world also face challenges just to survive and continue to live. One of the major contributor of climate change is human activities. So we must see within ourselves the value of this planet and not just to try but take action in reviving our planet because she is already in the state wherein she take the burdens and difficulties caused by humans. This is relevant to my course, accountancy, because it enlighten our minds that in every action that we are doing there is an effect. Accountants even though their speciality is more on making financial statements of course they need to be one of the contributors of making this world a good one. There will be a big difference in small contributions, so every one is held liable in making this planet a healthful and a better place to live in. Climate Change is really an alarming issue not only for the scientists but also to everyone. There is a big difference from the year before to year from now. If human still continue their acts to pursue Climate Change, what will happen to the children of the next generation? How are they going to explore the wonders of nature? How are they enjoy the LIFE? As a human, a steward of nature, we should be aware to all changes we are facing at. We should have our main ways to prevent Climate Change. As one of the heroes of this generation, I want to raise awareness not only to Filipinos but also the people of the world to take care of the Earth. Because this is the only way for us to thank God Almighty to this wonderful blessing that He gave to us. And that is the relevance of this study to me. Having aware that there is an alarming issue about our environment, thousands of ways has been formulated to solve this problem. And one of those is environmental education which is a very important one. To be able to act on the problem you must first know what the nature of the said problem is, what causes it and what are its possible effects. And by knowing that, you can now take action because of the knowledge acquired you can figure out what are we doing wrong that must be stopped to be able to deal with this issue. Taking science subjects had greatly helped in informing the people so that they themselves can formulate different solutions. Who knows one of those could be the key to this issue we are facing and as a result ensure a great future for the next generations to come. Truly, the future of the next generations depends on us. Climate change is the greatest humanitarian crisis of our time, responsible for rising seas, raging storms, searing heat, ferocious fires, severe drought, and punishing floods. It threatens our health, communities, economy, and national security. We biology students must become aware of this in order for us to do our part in helping to save the earth. If we don’t take action, we shall face the consequences in the near future. One day, we’ll realize that there’s no way for us to repair the damage, not unless we start now. This climate change issues to environment is a big deal for us human. It is necessary to know the things we need to do for us to know what are the do's and dont's according to the climate change. This results to the rising temperature in the planet earth thats why many fields are get dried, ice bergs are melting resulting to the increase of water level all over the world. This climate change is so alarming because of abnormal weather condition. For us to do things that can help us with this problem, we need to understand what the climate change is and what we need to avoid. Let's work together to solve this problem. Is one of the biggest problem of this generation Climate change, also called global warming, refers to the rise in average surface temperatures on Earth. An overwhelming scientific consensus maintains that climate change is due primarily to the human use of fossil fuels, which releases carbon dioxide and other greenhouse gases into the air. because it affects every person living on the planet. 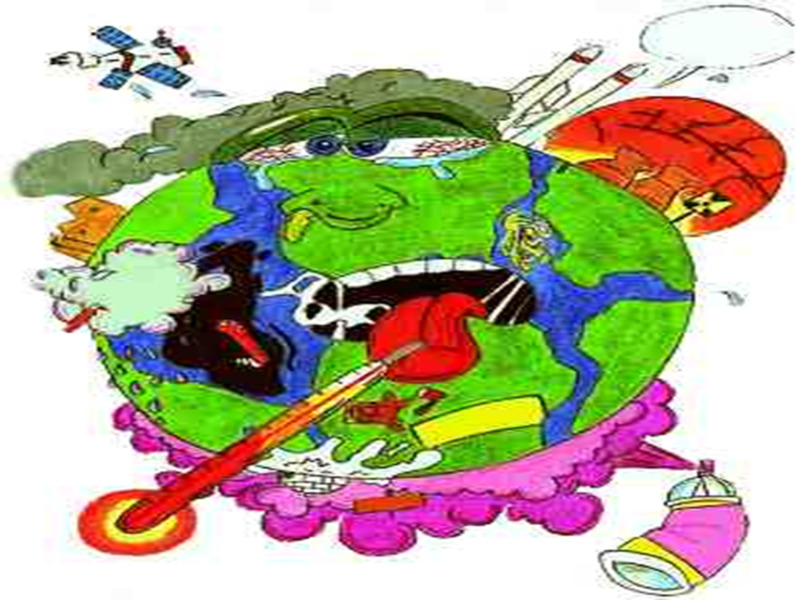 The hole of the ozone layer become bigger, because of the pollution that a man created. And the temperature is become higher than usual. . It is very alarming so we should address the issues concerning to this problem. If we don't act now maybe in the future there will be no clean air,water and land that can be seen on earth. All have been destroyed and polluted. So we should educate the people, teach those little children to take care of mother earth and be well mannered. Climate change is a serious reason for concern, because it affects every person living on the planet. Even though climate change is partially caused by the natural cycles of Earth, humans are still a major part of it. Greenhouse gases, such as carbon dioxide, absorb and emit heat in the atmosphere, keeping Earth warm enough to support life. In the future, climate change will affect people worldwide. There will be increased in health risks. Rising temperatures will cause longer and more common heat waves, which result in more heat-related injuries and deaths. Climate Change is a very big problem that we are all facing right now. The relevance of this in our life as we students we should be aware to what is happening in our earth we have to treat it like our life because our life is base on what is happening in earth. For us accountancy students we have to know what is happening on our company for as to retain our jobs. Climate change are caused by many things but the roots of all of this was all because of human wrong acts.. This topic is very essential to all of us because as a future accountant we should be capable in solving problems and we should know what are the changes happening in our environment. Climate change is one of the changes in our surrounding or in our home. We should be aware so that we know what the best thing to do to solve this problems. This world is what God gave us. But is already threaten because of climate change. We have to give importance and give value everything before its too late. Just like in company we have to give care to the whole company and to all that is happening because it is not only for ourselves but for the sake of all. As students, we should be aware of the damage the climate change brings to our world. In this world, we have to know how to treat everything in this world with care and the way they deserve to be treated. We have to value everything before it disappears, because we won't know the importance of something until we lose it, so as early as now, we have to take care of our environment. Like in a company, we should be vigilant to everything that happens, we have to care for the entire company and not for our job only. A change in global or regional climate patterns, in particular a change apparent from the mid to late 20th century onwards and attributed largely to the increased levels of atmospheric carbon dioxide produced by the use of fossil fuels.a long-term change in the statistical distribution of weather patterns over periods of time that range from decades to millions of years. It may be a change in the average weather conditions or a change in the distribution of weather events with respect to an average, for example, greater or fewer extreme weather events. Climate change may be limited to a specific region, or may occur across the whole Earth. Climate Change is the change of weather with the result of imbalance weather condition. Climate change greatly affects human life and mostly the environment and the ecosystem. Too much CO2 in the atmosphere traps a large amount of heat coming from the sun instead of being bounce back in the outer space. 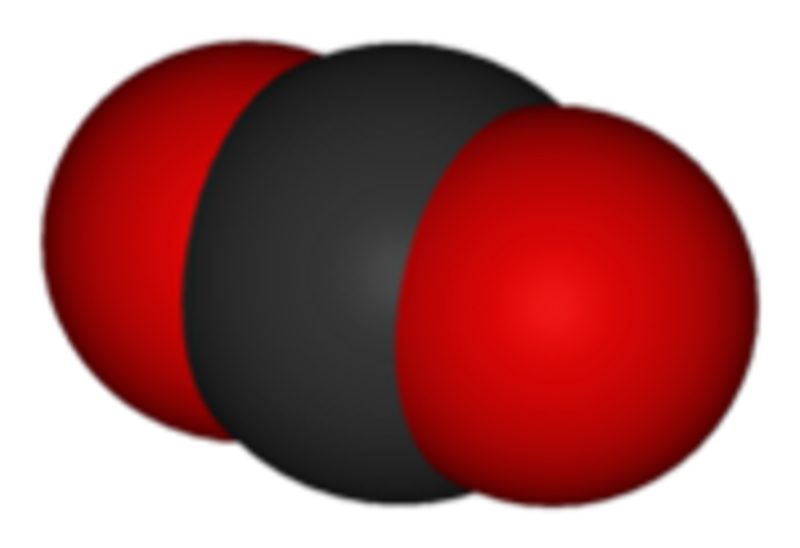 This carbon dioxide is produce by human activities which damage our environment. It greatly affects crops and even the life of animals from poles. Heat result may forest fire and flood in the near future. As we all know ice from north and south pole is melting due from heat and if that happens, countries may submerge. We can't back the damage done but we can stop it. And the simplest way to do so is by planting trees and discipline ourselves when it comes to garbages it must be keep properly. Climate change, the term is used to refer specifically caused by human activity, as opposed to changes in climate change that may have resulted as part of Earth's natural processes. As years passed, out of concern, we didn’t notice that our environment suffers from our wrong acts. Climates have changed considerably during the earths history. We keep on hearing same teachings and reminders but we never tend to learn how to do it properly. We should be responsible for taking care of our environment. BSA 1-3 Carillo, Anamir B. One of the biggest problems that our planet Earth facing is the climate change. Climate change is the changes in the earth's weather, including changes in temperature, wind patterns and rainfall, especially the increase in the temperature of the earth's atmosphere that is caused by the increase of particular gases, especially carbon dioxide. We should not let ourselves to just sit and watch how climate change destroy our beloved Earth, let's get informed and involved. There are so many ways to stop climate change. One way is can be done by everyone — be energy efficient. Turn off all the appliances when not in use. Another way is let us make our life greener, plant trees instead of cutting it. This planet Earth was given to us by our Lord God to take good care, not to destroy it. Everyone can help on how to prevent and stop climate change so everyone must do their responsibilities. As a student, it is very important to be informed about this because at this very young age there are already so many ways that I can do to help. Everyday is an earth day..
Our earth is changing, our environment, why cant we do something to stop or prevent climate change? Let's do something that will be better for us and for the earth. Let's be now aware of this, and do not ignore the consequences we may face. Maybe these consequences may teach us to do better for earth for the better results. Always remember everyday is an earth day. While we can't undo the damage caused to the environment, we can help decelerate the rate of change - and long-term, change the fate of the planet altogether. Half the problem for us as individuals, however, is the knowing where to start.To help you get to grips with climate change, we've identified several key areas we should all be addressing in our day to day lives to help you get started. We hope you'll find that becoming more environmentally friendly isn't as difficult as you might think! We can try step by step,every single steps counts as long as what we do is right and can help our mother earth. As a student, learning and being aware on the issues on our environment is really a heart melting one. Through biological science, our eyes will see the true status of our environment. The good thing is it’s not just on the everyday lesson in school but we, as students, can make a difference and help our Mother Earth. As future accountants awareness is the key. Everyday in life we encounter different circumstances as well our interaction in our environment. Our weather changes in a snap and that is very alarming for us. Being educated about the facts and possibilities may happen, we can now think on how we can be a better individuals and how we can extend our care on our environment. Global warming has become an undisputed fact about our current livelihoods; our planet is warming up and we are definitely part of the problem. However, this isn’t the only environmental problem that we should be concerned about. All across the world, people are facing a wealth of new and challenging environmental problems every day. Some of them are small and only affect a few ecosystems, but others are drastically changing the landscape of what we already know. We need to be aware of what we are doing, buying, using, and what it does to the environment. We need to save and protect our environment. I agree on what he said. Regrets are always at the end. That's why I am afraid that when the time comes the we are on the brink of losing the earth. Of losing our everything. That's the only time that we will be able to feel the importance of it. When it's already too late. When It's already late for us to change everything. To change our ways that are harming the environment. That's why, now, while it is still not too late, let's save the earth with every possible way we know. For us to not have any regrets in the end. As this note said "We are on a struggle. Struggle to survive and to prosper. And one of the greatest struggles the human race has ever faced is that, which concerns our only one planet where we live – the fight against climate change. " It is asking for us to take action for us to survive and for the next generation. We should do something and have an action for us to survive on this crisis. As a CPA i should have a knowledge about the effect of what my company doing because sometimes it can harm others or something like our beautiful environment. "Whether humans are responsible for the bulk of climate change is going to be left to the scientist, but it's all our responsibility to leave this planet in better shape for the future generations than we found it." -Mike Huckabee. Climate change is not about knowing it and being aware of it. It's all about words taken into actions and promises taken into reality. No wonder that anytime climate may change, severe storms may destroy our houses and may get the lives of thousands of people. No wonder anytime animals may die because of changing climate that may harm their health. All these things are happening but it seems like very few are the ones who care. We should not be blinded to the things we need to do as humans because we have our minds to think unlike other organisms. This issue is very alarming so we should not ignore it. Make possible actions, inspire others, do your part, and together we can overcome this what we call "Climate Change"
Climate change is already occurring worldwide and because of this we are already experiencing it like the too much warming or rising temperature in some areas, hurricanes and some other natural disasters that are more strong and unpredictable weather, air pollution cause by the too much consumption of carbon emisssion and water pollution by throwing garbages on the lake or other bodies of water. This are only some of the effects that that are now visible for us but this is just the beginning and the worse part is the ending that is all the result of our wrong doings in nature. an overview of various approaches that exist within the field of environmental education (EE). Like science education, environmental education is an interdisciplinary and complex field that offers a multitude of strategies for learning, dependent on the variables of resources, time, space, curriculum, student characteristics, plus a full range of factors that can affect any kind of educational implementation. As a human living in this world we should know how to take care of the things given to us. its better to prevent than to cure. Lt's not just say it let's do it. every small thing that we do can result a big changes. Being a student we must be responsible to take care where we live now. This is for the future generation that will inherited it. As accountancy student they might ask why we should study this? For example the company we own is the earth we live now, as owner we do a lot of things to make the company last for a long period of time, because we want that our future kids will manage it and for them to have a better life. If we treat the earth as our own company we may not suffer on climate change. The way how we think about how the company will last long time is the way we should we think for our earth. We can help the earth last for long time by a simple taking care of it. For example adopt energy saving habits. Make it a habit to turn off the lights as you leave a room. Also, replace standard light bulbs with energy efficient compact fluorescent bulbs. Turn off the computer and unplug electronics when they are not in use. By this way we not only save money for paying electrical bills but we help also the earth. We can also Walk or bike whenever possible. Not only will you reduce your carbon footprint, but your overall level of health will improve and you will save money on parking and gasoline. "Every journey starts in one step..."
Our world today is now experiencing a phenomenon called climate change. Climate change is a phenomenon where the earth's atmosphere's average temperature is increasing (especially a sustained increase that causes climatic changes). This phenomenon is affecting us in many ways such as experiencing much stronger hurricanes and severe heat waves, and this is very threatening to all of us. Abnormality that is happening today on our world's climate is getting worse. We, humans, must do our responsibilities as stewards of our nature. It is very important to have knowledge about climate change because we will be aware of what's truly happening in our world, and we will know what are the disadvantages of this phenomenon to all of us, and we can have ides how to remove it gradually in our nature. As a human and as an accountancy student, studying about climate change will make me more accountable in everything I do and it will help me to be vigilant in improving some things so they will be in their proper conditions. Climate change is unequivocal, almost certainly is caused mostly by human activities, is already causing significant harm, and as it continues, holds great risks for our future. Addressing the risks of climate change requires global action to reduce greenhouse gases as well as to reduce vulnerabilities to climate change impacts. Climate change and its impacts on people and resources will results to serious challenges. The actions we take today will influence the path of future greenhouse gas emissions and the magnitude of warming. They will also affect our ability to respond and adapt to changes, and to reduce vulnerability of people and places to possible harm. Educating future generations about the causes and effects of global climate change is necessary because implementing solutions depends on an informed public. Global climate change will affect people and the environment in many ways. Some of these impacts, like stronger hurricanes and severe heat waves, could be life threatening. Others, like spreading weeds, will be less serious. And some effects, like longer growing seasons for crops, might even be good! However, as the Earth keeps getting warmer, the negative effects are expected to outweigh the positive ones. The more we learn about how climate change will affect people and the environment, the more we can see why people need to take action to reduce the greenhouse gas emissions that are causing climate change. We can also take steps to prepare for the changes we know are coming. Change is inevitable and is one of the permanent existing things on Earth. Although “Climate Change” is a natural change that is bound to happen one day, it should be a gradual and steady in order for adaptation to occur. Due to our actions, the supposed to be steady and slow natural process is hurried to the extent that adaptation can’t occur. I must agree with an “Environmental Education Approach” to be included in our education. Teaching the terms to be memorized holds no significance compared to applying them. Our brain has its certain limit that can only take up to a number of information per day thus burying some with new knowledge. If a student knows the deeper meaning before such terms, then he/she would be able to take it into heart. As a result, would be easier to exercise it on a daily basis. Climate change, also called global warming, refers to the rise in average surface temperatures on Earth. An overwhelming scientific consensus maintains that climate change is due primarily to the human use of fossil fuels, which releases carbon dioxide and other greenhouse gases into the air. The gases trap heat within the atmosphere, which can have a range of effects on ecosystems, including rising sea levels, severe weather events, and droughts that render landscapes more susceptible to wildfires. Do something today to reduce greenhouse gas emissions. Reducing greenhouse gas emissions is the key to solving global climate change. A major way these gases get into the atmosphere is when people burn coal, oil, and natural gas for energy. Everyone uses energy, and everyone can be part of the solution. Jessica Ocampo. BSBA1-1. Climate has far reaching impacts on biological systems. Survival and reproduction depend on how well adapted individuals are to local climate patterns. Climate change can disrupt the match between organisms and their local environment, reducing survival and reproduction and causing subsequent impacts on populations or species’ distributions across geographic regions. Climate change may benefit some species and cause extinction for others. Cumulatively, it will alter biological communities and the functioning of ecosystems. The Earth is already experiencing sufficient climate change to affect biological systems; well‐documented changes in plant and animal populations are related to recent climate change. Predicting future biological impacts of climate change remains a formidable challenge for science. I believe more strongly than ever that we really need to integrate climate change into forest management. As a researcher it is frightening to understand the degree of change that may occur to our forests over the next few decades, but as a practitioner it is comforting to know we can adapt to this change if we begin changing our forest management policies today. The natural variability and the climate fluctuations of the climate system have always been part of the Earth’s history however there have been changes in concentrations of greenhouse gases in the atmosphere growing at an unprecedented rate and magnitude. The United Nations, governments and many top scientists around the world believe that we must act now to stabilise and arrest further changes. Global warming causes thermal expansion of land and water. It also causes ice sheets to melt in icy regions of the world and mountain tops. Large volumes of melted ice (water) then flows down into streams, rivers, lakes and seas. The result is rising sea and water levels, causing floods and massive destruction to low-lying towns and cities along water bodies. Extreme changes in temperature makes people suffer breathing difficulties, head aches, body rashes and other illnesses. There are many ways that you can make a difference, such as driving less, insulating your house better, changing your voting priorities, buying organic food, eating less meat, buying fuel efficient appliances and vehicles. Little help won't hurt. Climate change is happening now. Evidences being seen support the fact that the change cannot simply be explained by natural variation. A change in global or regional climate patterns, in particular a change apparent from the mid to late 20th century onwards and attributed largely to the increased levels of atmospheric carbon dioxide produced by the use of fossil fuels. It most likely to be due to human activities; and thus, is due to the observed increase in greenhouse gas concentrations from human activities, such as the burning of fossil fuels and land use change. Current warming has increasingly posed quite considerable challenges to man and the environment, and will continue to do so in the future. Climate change has the potential to drastically impact the future of the human race. 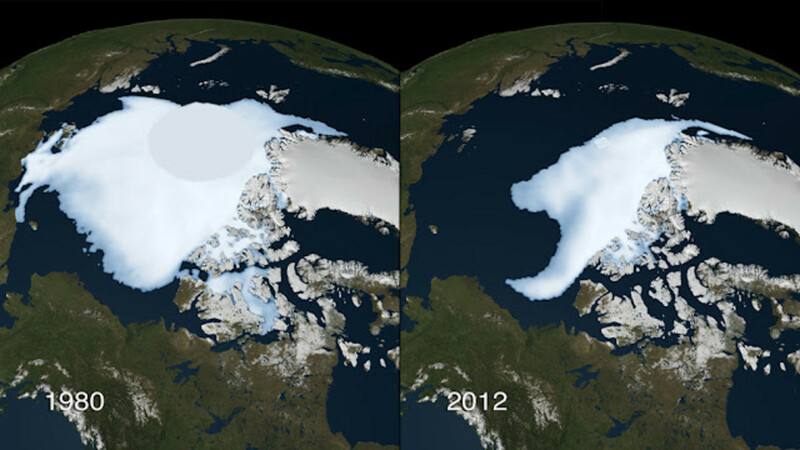 The changes in climate can affect how people, plants and animal live. In order to save the environment we need to be aware of what we are doing, buying, using, and what it does to the environment. Saving energy reduces air pollution and greenhouse gases. "Climate Change is real and is all affecting all of us." Climate change is already beginning to transform life on Earth. Around the globe, seasons are shifting, temperatures are climbing and sea levels are rising. And meanwhile, our planet must still supply us – and all living things – with air, water, food and safe places to live. If we don't act now, climate change will rapidly alter the lands and waters we all depend upon for survival, leaving our children and grandchildren with a very different world. Mercado, Mark Roldan L. BSBA 1-1 Climate has far reaching impacts on biological systems. Survival and reproduction depend on how well adapted individuals are to local climate patterns. Climate change can disrupt the match between organisms and their local environment, reducing survival and reproduction and causing subsequent impacts on populations or species’ distributions across geographic regions. Climate change may benefit some species and cause extinction for others. Cumulatively, it will alter biological communities and the functioning of ecosystems. The Earth is already experiencing sufficient climate change to affect biological systems; well‐documented changes in plant and animal populations are related to recent climate change. Predicting future biological impacts of climate change remains a formidable challenge for science. Climate change, also called global warming, refers to the rise in average surface temperatures on Earth. An overwhelming scientific consensus maintains that climate change is due primarily to the human use of fossil fuels, which releases carbon dioxide and other greenhouse gases into the air. The gases trap heat within the atmosphere, which can have a range of effects on ecosystems, including rising sea levels, severe weather events, and droughts that render landscapes more susceptible to wildfires. The primary cause of climate change is the burning of fossil fuels, such as oil and coal, which emits greenhouse gases into the atmosphere—primarily carbon dioxide. Other human activities, such as agriculture and deforestation, also contribute to the proliferation of greenhouse gases that cause climate change. Rising sea levels due to the melting of the polar ice caps (again, caused by climate change) contribute to greater storm damage; warming ocean temperatures are associated with stronger and more frequent storms; additional rainfall, particularly during severe weather events, leads to flooding and other damage; an increase in the incidence and severity of wildfires threatens habitats, homes, and lives; and heat waves contribute to human deaths and other consequences. 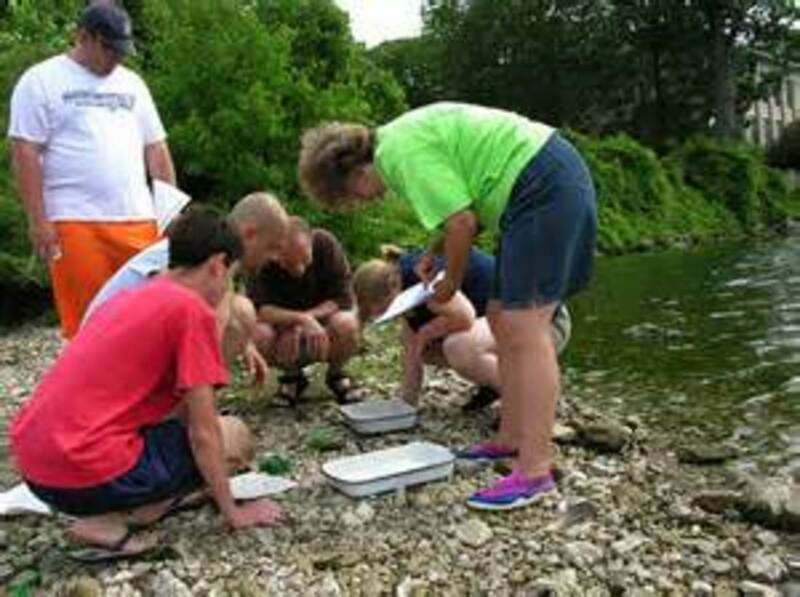 Environmental education is a process that allows individuals to explore environmental issues, engage in problem solving, and take action to improve the environment. As a result, individuals develop a deeper understanding of environmental issues and have the skills to make informed and responsible decisions.c The components of environmental educational are: Awareness and sensitivity, Knowledge and understanding, Attitudes, Skills , and Participation . Environmental education does not advocate a particular viewpoint or course of action. Rather, environmental education teaches individuals how to weigh various sides of an issue through critical thinking and it enhances their own problem-solving and decision-making skills. Flooding and storms show us just how much weather and climate can affect our lives. Understanding and predicting what the coming winter might bring, or predicting how climate will change over the next century is of vital importance - both for our economy and for society. Climate can be thought of as the average or typical weather conditions we experience. Scientists know that climate varies naturally on many timescales and they know that people are affecting climate - particularly through emissions of greenhouse gases. The natural factors have no solutions, but we can control the effects of humans on the environment. The government can take necessary actions such as giving vehicle licenses very few, in a house only one vehicle etc. Also pollution, by controlling all types of pollution the amount of CO2 such green house gases reduce in the atmosphere thus global warming also reduced. The afforestation of plants and developing forestry can give a positive effects. Because it reduces the amount of CO2. Limit the use of refrigerators and ACS in houses. Also practice sustainable development in all types of industries. This article is really a big help for us to know what the effects and causes of Climate Change and in order for us to know what to do to prevent climate change. BSBA 1-1 Mercado, Mark Roldan L. Climate change, also called global warming, refers to the rise in average surface temperatures on Earth. An overwhelming scientific consensus maintains that climate change is due primarily to the human use of fossil fuels, which releases carbon dioxide and other greenhouse gases into the air. For me "Disciple and Peace" are the key for this climate change. as I say if every one of us has this traits maybe or yes it my lesser the global warming effect and the climate change effect on our mother. "Climate Change is a bit like our advanced societies. Too late to "fix." 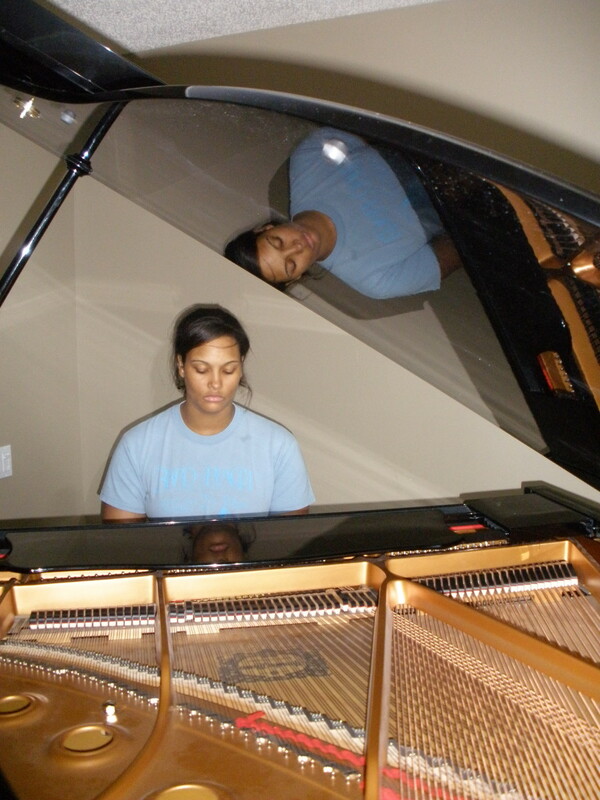 The only choice left is that we adapt to what we've created." Actually, we can't stop climate change. But, there are some ways to somehow prevent it like being energy efficient. If we don't start in our own, who will do it? Let us spread climate change awareness and let us help one another in raising this. Climate has far reaching impacts on biological systems. Survival and reproduction depend on how well adapted individuals are to local climate patterns. Climate change can disrupt the match between organisms and their local environment, reducing survival and reproduction and causing subsequent impacts on populations or species’ distributions across geographic regions. Climate change may benefit some species and cause extinction for others. Cumulatively, it will alter biological communities and the functioning of ecosystems. The Earth is already experiencing sufficient climate change to affect biological systems; well‐documented changes in plant and animal populations are related to recent climate change. Predicting future biological impacts of climate change remains a formidable challenge for science. There are so many struggles anywhere that we must face just every living things to survive. One of those is us humans, the plants which one of the needs for humans to survive, the animals, and the most important is our planet Earth, the place where living things live. And every struggles of every living things is different and not every time this struggles will all alone. Nowadays, our planet struggles more than the past decades, it is because of the climate change and one the reason of this is the arising of modernization and technology. Many scientist do so many experiments on how we fight back this climate change. Even if there are so many solutions now for this climate, people does not seem to cooperate. We need to have unity to fight back in this climate change and to save our planet where we live because our planet cannot fight this problem alone, in our own little way. If the time could turn back, I wish our planet is like the past time where all living things live in a simple way, does not causing any problem that may lead for slowly changing our surroundings. Everything that we did, even in a little way ca change the world. Nowadays we are facing the most difficult problem which is the climate change. The destruction of the land, the pollution in the water and air etc. . We need to do something to prevent the much larger destruction that are coming if we ignore this problem. We need to take care our planet so that the resources we need to survive will not be destroy and cannot be replace. We need to prevent or less damage will be bigger and the effect is on us. Climate Change really threatens not only the people, the environment, but the whole world itself. If only we would start taking care of our surroundings like planting trees, cleaning the bodies of water, proper disposal of garbage and avoid using chemicals that may infect or pollute land, air and water. We can save and clean energy by walking or biking which are also good for our health. We must start these now before its too late, before we lose the only place we live on, the mother Earth! Climate is usually defined as the "average weather" in a place. It includes patterns of temperature, precipitation (rain or snow), humidity, wind and seasons. Climate patterns play a fundamental role in shaping natural ecosystems, and the human economies and cultures that depend on them. There will always be a change in our lives, because we are all humans here. change is permanent but we need to be consistent on the things that are highlighted on this. We need to change our mindset to the positive one in order to be consistent to the things that we want and we need to achieve in life. Just go and go and go to the things that we dreamed. We need to be a CPA and beat it. Imagine things that will happen in the future if climate change continues. Climate change is one of the negative effects we experiencing nowadays. It is happen because of the ozone layer being destroyed. The heat coming from the sun goes directly to the earth’s surface so that the temperature arises. Imagining many lives taken away and many people suffer to different types of phenomenon because of climate change. We can avoid this from happening like plant many trees to avoid flashfloods and landslides, stop throwing waste materials or products in the river etc... We need to be responsible in our own actions for the sake of our planet and for the sake of everyone. Let’s be aware in our surroundings and remember how blessed we are to have this home and have a chance to live and see the God’s creation. Climate Change is a serious matter that our Earth is facing. We can experience it every day. Example when BER months came it will become cold but like we are experience before it is like summer. And when the summer came it is like rainy season. We cannot dictate what will be the climate for the day. Because of the climate change. It is created because of us humans. Because of being irresponsible to our actions. But we can stop it if we will be united in one goal. Our goal is to clean and make our Earth better. We must act sooner. We must do the right thing for our Earth. It saddens me how people don't realize that climate change is real. It is really happening and it gets worse everyday. We are killing mother earth and not everyone is aware of it. Our generation is fast improving, Big factories emerge everywhere causing pollution, illegal businesses like deforestation and burning of fossil fuels that releases carbon to the air. These are the main culprit of climate change and it must be taken serious or it will be too late. We can't eat money. Business is good but with great power comes with great responsibility. In handling a business, one of iits main concerns is social responsibility or ensuring the welfare of the common citizens and the community. As future accountants or people in the business world, we must help raise awareness about climate change. De Jesus, Mary Grace A. No doubt we are facing a serious condition of our environment, because of the human activities that causes it to be at risk, we become selfish because we only care about our looks, style of living, but then we didn't pay attention on what's happening to our own environment, if we would put ourselves in the state of Earth, we could imagine that this serious problems and risk is too much to intake yet our planet is still staying strong just to sustain us. I wish more people cared about the earth as much as they cared about who they believe and created it. Climate is usually defined as the "average weather" in a place. It includes patterns of temperature, precipitation (rain or snow), humidity, wind and seasons. Climate patterns play a fundamental role in shaping natural ecosystems, and the human economies and cultures that depend on them. But the climate we’ve come to expect is not what it used to be, because the past is no longer a reliable predictor of the future. Our climate is rapidly changing with disruptive impacts, and that change is progressing faster than any seen in the last 2,000 years. “Even if climate change isn’t real (but we know it is), aren’t the benefits of cleaner air, water and land worth all the effort put towards cleaner energy, reduced resource use and all general “green” practices?” I can’t remember where I first heard this, or the exact quote, but it makes one think. As much as this concern is about nature and ecology, it also has direct and indirect consequences on human health, as well. 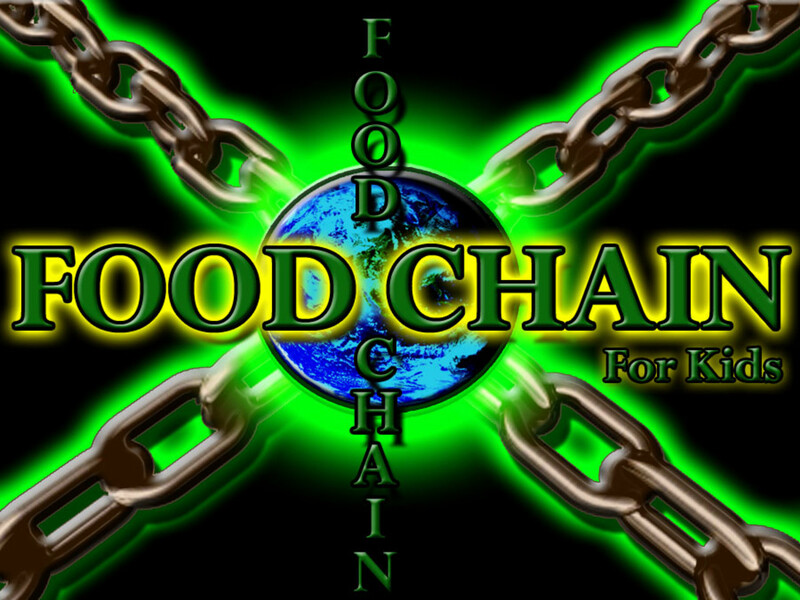 In summary, the above links break down into direct and indirect consequences of climate change, including diseases (malaria and cholera), extreme weather events (storms and heat waves), pollution of air and water (ground level ozone), and food security. Saddest thing is, the world is becoming worst with profound ominous changes such as environmental devastation, disinformation, and economic crisis. With rapid global climate change, it causes a wide variety of consequences that we are already experiencing. But with environmental education, it increases public awareness and knowledge about environmental issues or problems. In doing so, it provides the public with the necessary skills to make informed decisions and take responsible actions. As a person and a student, we should take stand and try to end most of the climate changes that are occurring, making this world a safer place to live on and we can make a bridge between man and nature to make a difference to stop these changes. An overwhelming scientific consensus maintains that climate change is due primarily to the human use of fossil fuels, which releases carbon dioxide and other greenhouse gases into the air. The gases trap heat within the atmosphere, which can have a range of effects on ecosystems, including rising sea levels, severe weather events, and droughts that render landscapes more susceptible to wildfires. The primary cause of climate change is the burning of fossil fuels, such as oil and coal, which emits greenhouse gases into the atmosphere—primarily carbon dioxide. Other human activities, such as agriculture and deforestation, also contribute to the proliferation of greenhouse gases that cause climate change. While consensus among nearly all scientists, scientific organizations, and governments is that climate change is happening and is caused by human activity, a small minority of voices questions the validity of such assertions and prefers to cast doubt on the preponderance of evidence. Climate change deniers often claim that recent changes attributed to human activity can be seen as part of the natural variations in Earth’s climate and temperature, and that it is difficult or impossible to establish a direct connection between climate change and any single weather event, such as a hurricane. The climate is changing. The earth is warming up, and there is now overwhelming scientific consensus that it is happening, and human-induced. With global warming on the increase and species and their habitats on the decrease, chances for ecosystems to adapt naturally are diminishing. Do you still remember the Carbon Footprint? A carbon footprint is defined as: The total amount of greenhouse gases produced to directly and indirectly support human activities, usually expressed in equivalent tons of carbon dioxide (CO2). We should reduce the size of our carbon footprint by decreasing the usage of our gadgets because it produces energy that can increase the size of our carbon footprint. We should do something before it’s too late because we are the one who will face the consequences. 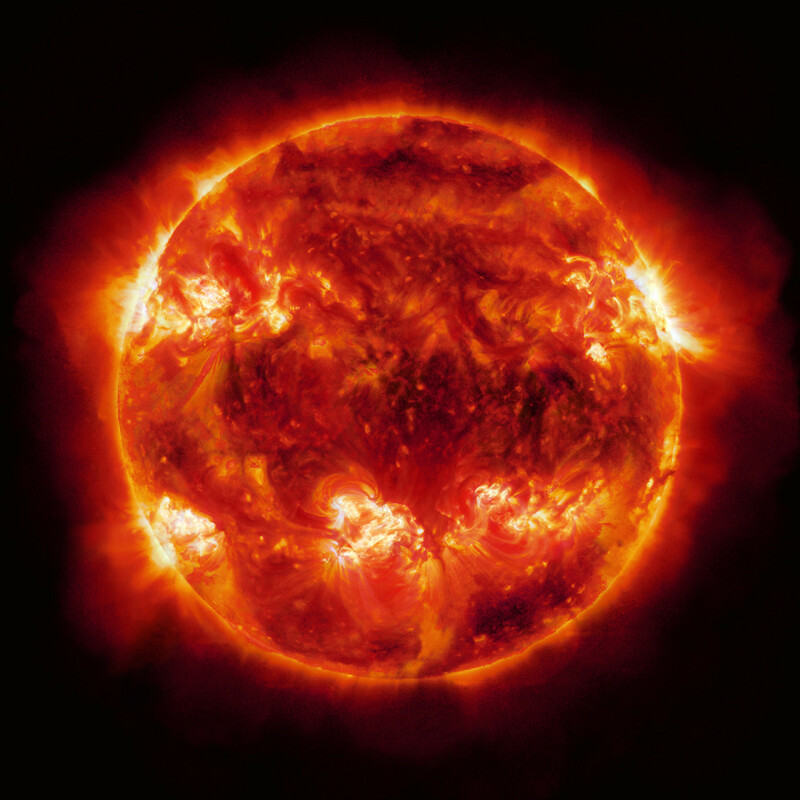 The heat that enters into the Earth system comes from the Sun. Sunlight travels through space and our atmosphere, heating up the land surface and the oceans. The warmed Earth then releases heat back into the atmosphere. However, the amount of sunlight let into the system is not always the same. Changes in Earth’s orbit over thousands of years and changes in the Sun’s intensity affect the amount of solar energy that reaches the Earth. Climate has a big effect on the food we eat, the energy we use, homes we live in, work we do (and how we travel to work), our culture and heritage and the way we spend our spare time. It can even affect our health, from sunburn to allergies to respiratory illnesses. It is really true, we humans continue wrecking and ruining our surroundings. As someone who knows how to help prevent this crisis, it is nice to have and share ideas regarding our environment. Environmental education won't hurt, actually it is a big help for everyone. It allows everyone to have better knowledge about what's happening with our environment, with the world. Climate is an angry beast and we are poking at it with sticks. We are the cause, we are what we do with our environment. "If we destroy Creation, Creation will destroy us." It's our choice. Madeleine C. Merced BSA 1-2 Climate change is a very big problem that we are all facing now. We, students, have to do something in order to avoid it and protect our Earth. What I can suggest is that we must be energy efficient. We can change light bulbs to compact fluorescent or LEDs. Unplug computers, TVs and other electronics when not in use. In addition, air travel leaves behind a huge carbon footprint. Before we book our next airline ticket, consider greener options such as buses or trains, or try vacationing closer to home. We can also stay in touch with people by videoconferencing, which saves time as well as travel and accommodation costs. Another one is that we have to get involve by reminding other people that reducing greenhouse gas emissions will also build healthier communities, spur economic innovation and create new jobs. FOr me this is the time to change...Climate change is one of the biggest problem in the whole word.This change is the changes in weather patterns that happens in a year in particular state country city or province.As BA students we can help prevent it when we apply the principles and knowledge that we got from our science subject.Discipline is the powerful word to use to fight the continues change in our climate. That are just way we can do to help solve the issue. .Climate has far reaching impacts on biological systems. Survival and reproduction depend on how well adapted individuals are to local climate patterns. Climate change can disrupt the match between organisms and their local environment, reducing survival and reproduction and causing subsequent impacts on populations or species’ distributions across geographic regions. Climate change may benefit some species and cause extinction for others. Cumulatively, it will alter biological communities and the functioning of ecosystems. April Cayetano BSPSY-1 Climate change is already beginning to transform life on Earth. Around the globe, seasons are shifting, temperatures are climbing and sea levels are rising. And meanwhile, our planet must still supply us – and all living things – with air, water, food and safe places to live. If we don't act now, climate change will rapidly alter the lands and waters we all depend upon for survival, leaving our children and grandchildren with a very different world. Climate change is the greatest humanitarian crisis of our time, responsible for rising seas, raging storms, searing heat, ferocious fires, severe drought, and punishing floods. It threatens our health, communities, economy, and national security.Worldwide, nations have begun taking steps to combat this growing threat, working toward an international agreement in which every country on earth plays its part. Many of the world's largest polluters have stepped up with significant commitments, amplified by efforts from cities, businesses, sports leagues, churches, and many other individuals and groups that have responded to the urgent need for climate action. Global economic crisis has underscored the need for approaches to education that equip and empower people of all ages to deal with uncertain environmental, economic and political futures.The rapidly increasing atmospheric concentrations of greenhouse gases may lead to significant changes in regional and seasonal climate patterns. 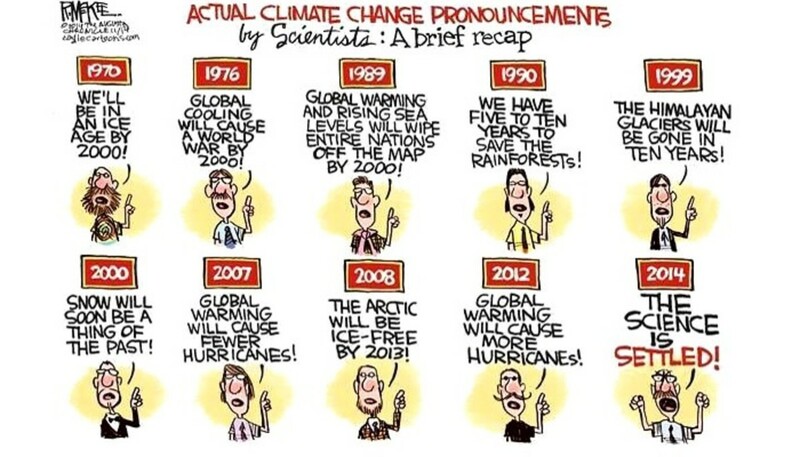 Climate change is a change in the statistical distribution of weather patterns when that change lasts for an extended period of time (i.e., decades to millions of years). Climate change may refer to a change in average weather conditions, or in the time variation of weather around longer-term average conditions. Climate change is a change in the statistical distribution of weather patterns when that change lasts for an extended period of time (i.e., decades to millions of years). Climate change may refer to a change in average weather conditions, or in the time variation of weather around longer-term average conditions (i.e., more or fewer extreme weather events). Climate change is caused by factors such as biotic processes, variations in solar radiation received by Earth, plate tectonics, and volcanic eruptions. Certain human activities have also been identified as significant causes of recent climate change, often referred to as "global warming". As an accountant we need to know what happened in our world specially our climate because it may lead in a disease. Nowadays climate change is the biggest problem of the human being. It is already happening and represents one of the greatest environmental, social and economic threats facing the planet. We should all admit that these changes are caused by humans. We as students should make an act by doing simple things to make a difference, such as driving less, insulating your house better, buying organic food, eating less meat, buying fuel efficient appliances and vehicles. We should love and take care of earth. If we will observe our surroundings, we can see the effect of all the improper treatments that we do to our planet. One of those are the Climate change which is probably the most serious problem that we are facing. Climate change is difficult to stop. But it could be reduce easily especially when all of us will help one another. Studying more about climate change and other environmental issues will be beneficial for us. We could apply all the knowledge we learned to start doing ways in preserving our environment. Public awareness of global climate change is extraordinarily high. 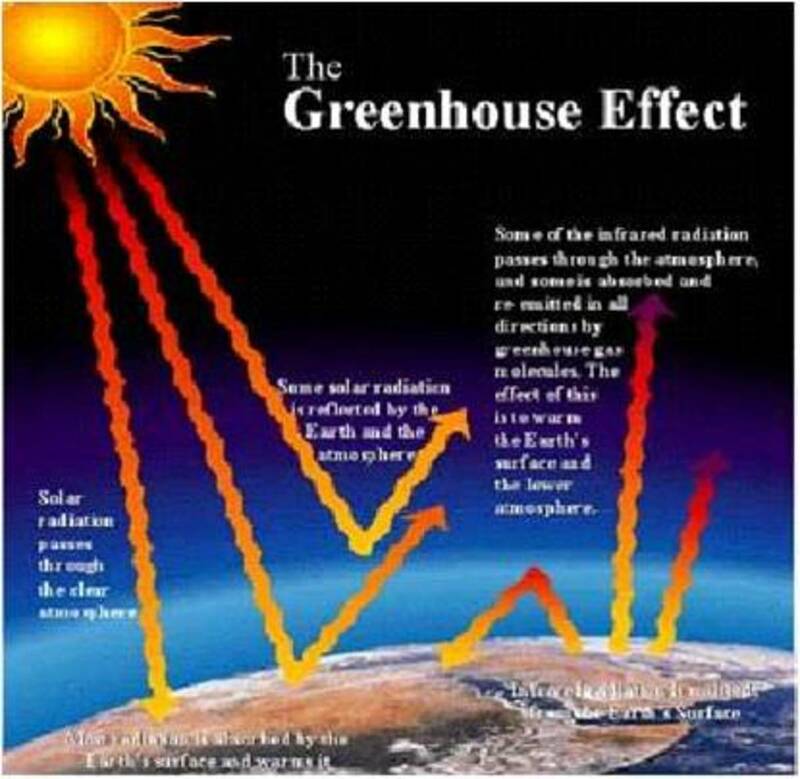 From schoolchildren to senior citizens, from farms to factories to Wall Street, the phrase "greenhouse effect" now occupies a prominent place in the vocabulary of everyday life. In a world of so many issues and concerns, how is it that global climate change has been able to capture our attention? Why are you interested in the topic? This problem strikes home for so many people for one simple reason: global climate change has potential consequences for the Earth's living systems (biota). All life on Earth, whether plant or animal, is inexorably linked to the surrounding chemical and physical climate. It is obvious to most people that organisms tolerate certain ranges of temperature, have certain requirements for moisture and nutrients, and respond to the chemical composition of the surrounding air or water. The rate, as well as the magnitude, of global environmental changes could potentially challenge the capability of organisms to adapt. We have a vested interest in this topic because we are members of the biological community ourselves, and because we are dependent on other living systems. It's not surprising that our interest in climate change is intense and that it spans many levels: scientific, economic, social, political, and even emotional.Climate has far reaching impacts on biological systems. Survival and reproduction depend on how well adapted individuals are to local climate patterns. Climate change can disrupt the match between organisms and their local environment, reducing survival and reproduction and causing subsequent impacts on populations or species’ distributions across geographic regions. 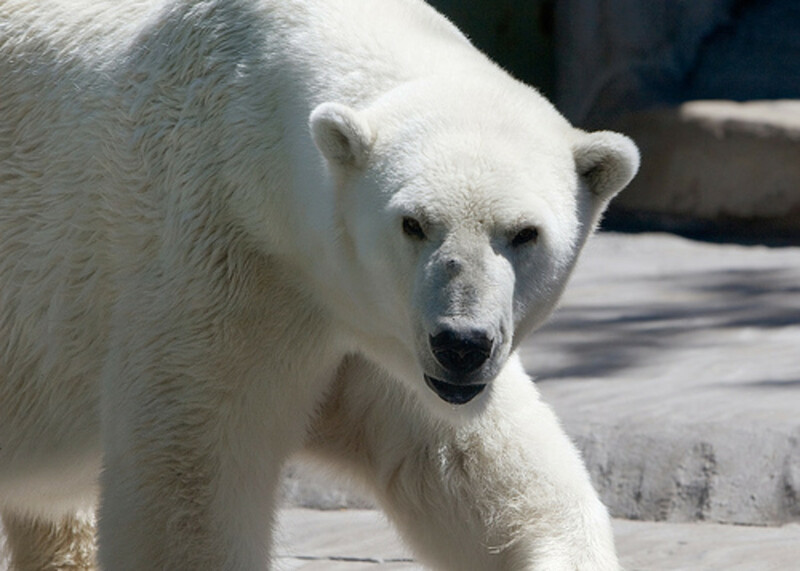 Climate change may benefit some species and cause extinction for others. Cumulatively, it will alter biological communities and the functioning of ecosystems. The Earth is already experiencing sufficient climate change to affect biological systems; well‐documented changes in plant and animal populations are related to recent climate change. Predicting future biological impacts of climate change remains a formidable challenge for science. Look around you. Observe. From pollution, garbage everywhere, spreading of diseases, lack of safe water to drink and limited supply of resources, up to uneven heating of earth's surface temperature, unsteady climatic patterns and unpredictable weather readings. These are only few from a thousand and one signs of our changing planet. Before, we're still confident and carefree about our surroundings that we just keep on using and consuming everything around us without even replacing them. But now, as time progresses, we can experience sudden shifting of our earth to possible deterioration and destruction. As accountancy students, we must learn to think rational and consider everything at its most crucial perspective in order for us to think of a hundred ways to address our global problem. We can make a change, if we work altogether. Cooperation and understanding is a must in order to achieve something. One for all, all for our ultimate goal- to fight and stop climate change for our next generation's sake. Climate change is one of the biggest problems that are world is facing today. We are all aware that the earth is suffering from climate change and it is difficult to deal with because we can't predict if today's weather will be fine or not. We, humans, are responsible to treat this problem for we are the one who did this damage to our world. Climate change is a major problem and it needs to be absolutely solved. It deserves to be a huge priority. It is not just for our sake, it is for everyone and for the next generations’ sake. A change in global or regional climate patterns, in particular a change apparent from the mid to late 20th century onwards and attributed largely to the increased levels of atmospheric carbon dioxide produced by the use of fossil fuels.a long-term change in the statistical distribution of weather patterns over periods of time that range from decades to millions of years. It may be a change in the average weather conditions or a change in the distribution of weather events with respect to an average, for example, greater or fewer extreme weather events. 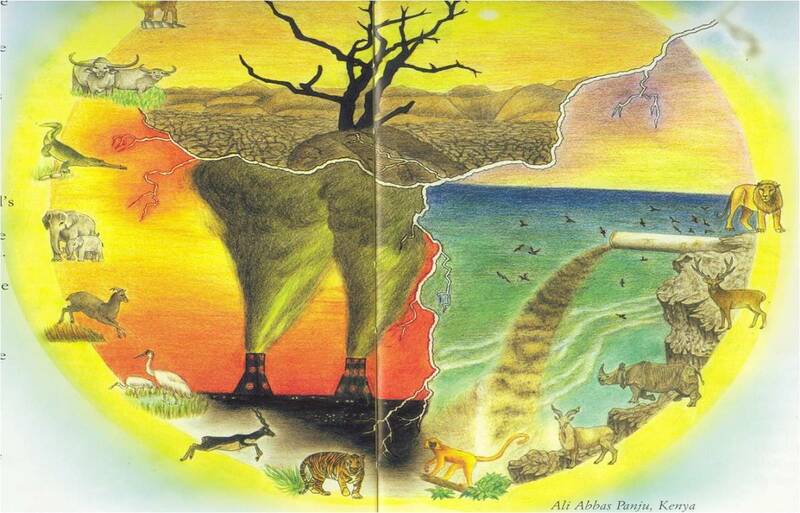 Climate change is one of the biggest problem in thw whole world , because it may effect whole life each on of us . In air for the past decades if you breath you can smell absorb fresh air but this past years if you breath is not healthy in our body because it contains pollution. Climate change is a product of humans' greediness and irresponsibility. 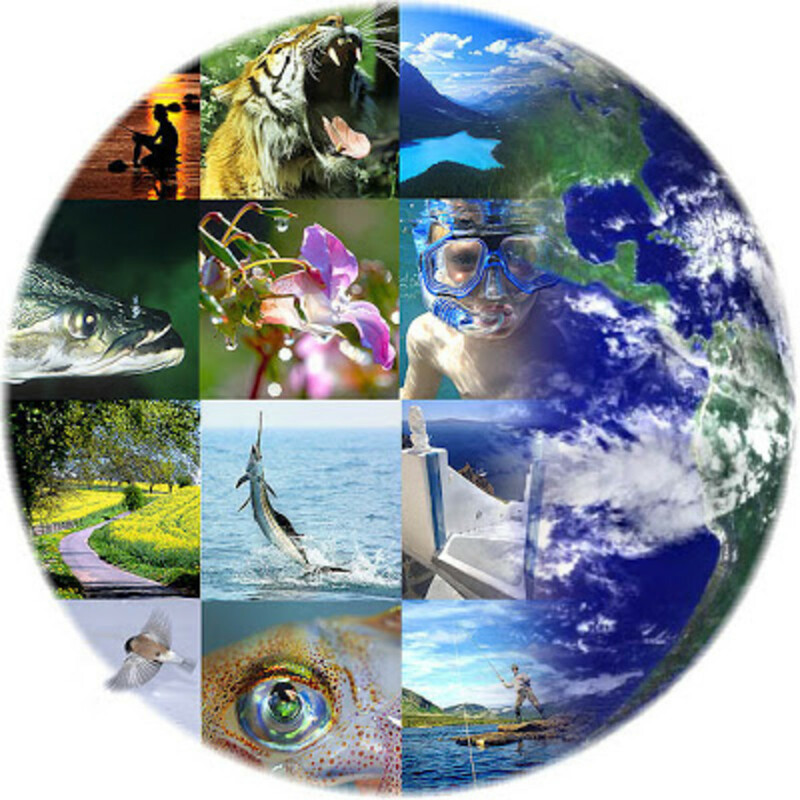 Biological science is a great way for us students to be aware of our role as inhabitants of planet earth. The article simply tells us that we can do something to save the earth. Act on it as early as today while it's not too late. Climate Change, Global Warming and such are issues we definitely CANNOT ignore. We only have one world, Earth, but it becomes something difficult to protect because our enemy is not nature but our fellow human beings. As it states above that a song says that each of us are but periods in the world but putting together those periods or dots can make a difference. On the bad side, for example, one has this programmed in his mind: "It's fine if I just throw this candy wrapper anywhere. It's small. Who cares if garbages increased by one small wrapper!". But, what if there are over a million people with that mindset? That will create a million of candy wrapper garbage. Now, that does say something. Meaning, we cannot have even just one person have that kind of mindset. On the good side, if there are people who care for the environment and we put them all together, that also makes a big difference! Also, let say, for example that one person cuts a tree and plants one to replace it. Will that be enough? Equal exchange? Of course not! How can you even call that equal? If it rained really hard, that one small replacement is sure to die. And even if it doesn't die, just how many years will it take to grow to be like the old tree that was cut? Our teacher in high school told us before that you have to plant 10, or more and no less than that. Lots of people care more about the money than they care about the environment. They don't really care what happens to it as long as they got the greens (money). That is something that must not be tolerated. As future professionals, we may encounter clients who couldn't careless about the environment. We must not let them have their way. We must take a stand to protect the Earth. It is our home. It has protected us even long before we are born. We must do our jobs as God's stewards. This topic is very important which makes us realize how significant our planet is to us. And very related to our course because, as students of accountancy, our company will face many risks that can also be referred to "climate change", and we have to make studies on how to overcome that risk. This topic is very helpful not only to accountants but to students of every course who has to prevent climate change for their future families. Helping to save the Earth is one of the greatest privileges that I will have in my life. I think we are the one who created this phenomenon or problem called “Climate Change” but remember that we can also solved these problems by ourselves. There is no problem created that cannot be solved. The first thing we need is the “DISIPLINE” because this thing can start a new change in Earth. Saving Earth is not too hard for us if we have discipline on ourselves. It is not too late to save the Earth. What are we waiting for? Let’s all “MAKE A MOVE”. Climate change is really ruining our mother earth. It affects our nature extremely. It detoriating our world and making it such a big mess. It is a serious problem that really needs to solve in a quick. Environtal education must be involved in each of every individual. It needs to be applied and execute. In every kid needs to teach how to take care of their surroundings to plant trees or either throw their garbages in the proper trash cans. Climate includes patterns of temperature, precipitation, humidity, wind and seasons. "Climate change" affects more than just a change in the weather, it refers to seasonal changes over a long period of time. These climate patterns play a fundamental role in shaping natural ecosystems, and the human economies and cultures that depend on them. Because so many systems are tied to climate, a change in climate can affect many related aspects of where and how people, plants and animals live, such as food production, availability and use of water, and health risks. For example, a change in the usual timing of rains or temperatures can affect when plants bloom and set fruit, when insects hatch or when streams are their fullest. This can affect historically synchronized pollination of crops, food for migrating birds, spawning of fish, water supplies for drinking and irrigation, forest health, and more. Worldwide, people are paying serious attention to climate change. Climate change is really destroying our environment, economy and communities. We can help slow it down, but we must take action now. Our world is at risk because of us who cause the climate change. Little by little it is getting worst which means that it affects many living things. We need environmental education so that we can learn and understand our environment and what are the things that are happening lately and also in the future. Participating to other organization for our environment is such a good thing or one of things that can help our world to getting worse. As a student, we need to plant trees, show our care and love to our world and many more are some of the important things to help our world. Nowadays climate change is the biggest problem of the human being. It is already happening and represents one of the greatest environmental, social and economic threats facing the planet. The climate can affect every person and our health directly through increases in temperature. Particular segments of the population such as those with heart problems, asthma, the elderly, and the very young can be especially vulnerable to extreme heat. The climate is a very important thing and if we don’t stop the changes soon, more and more plants and trees are going to die, we won’t have enough food and then not only will the third world countries suffer from hunger but so will the whole world. I think it is better to first stop the changes in climate and then gradually reduce the hunger in the poor countries. Because if we stop the changes, we are going to be healthier and everything around us will be cleaner and it will be how it actually should be. I believe harmony between nature and human beings will return. Scientists confirm what we already know, but may not want to hear, there’s no magic method to stop climate change. A new study that analyzed the five leading strategies to prevent global warming found that, really, it all comes down to reducing global carbon emissions. Reduce carbon emissions. Sequester more carbon by letting plants do their thing. Sequester carbon through capture and storage. Sequester carbon by fertilizing the ocean. Geoengineer to keep out some of that dang sunlight. The good news is, it sounds like we know what we need to do! The bad news is, we’re still not doing enough of it. And in connection with our course. Everyone must understand what we're really doing , it is enough that we know how to do it. Since the beginning of human civilization, mankind has lived in a competitive relationship with nature. His relentless pursuit of progress, comfort and security has resulted in increased stress on environment, particularly since the industrial revolution. Consequently, the life sustaining environment has been forced to transform more rapidly than ever before. Human tendency to exert a negative influence on ecology has resulted into rapid increase in the greenhouse gases in the atmosphere, large scale deforestation, loss of biodiversity, severe land degradation and environmental pollution. Climate change is very threatening situation that affect the things we love to do it can destroy our planet if we dont take action right now. We cannot blame nature for this but the nature can bl;ame us on this. Progress is good but what is progress when our mother earth is crying and slowly dying. As a student we can make a change. There are so many groups out there that we can support on helping our nature. We can contribute by the means of cleaning our own trash proper waste disposal and many more. It is important not just to us bsa student but to every one who live in this planet so in the future generation we can show the beauty of the world. I know that climate change is a problem of all human beings. And as a Hospitality Management student all i can do about this problem is we need to have is cooperation because climate change is happening we need to do everything before it's too late. Maybe global warming causing climate change may be the ultimate issue that unites us all. Climate Change is the biggest problem can experience now. It can affect in all living things. Many activities of man and factories can cause of changes of climate like Nuclear Power, smoke in a car. Discipline and Knowledge needed to prevent pollution of the environment and to prevent misconduct that affect the world. Climate change is a very alarming issue that we all should address right now. Climate change could affect all of us in terms of food, shelter, and health. Climate change is a very big problem that sometimes people around us don't even care at all, that's why still now our mother earth is suffering. If we don't act now the pollution on the water, air and land could be worsen, there will be no trees and we won't find any animals in the forest. If we just have discipline within ourselves and love the mother earth, we can still achieve a planet where the next generation can see. Climate change is difficult to deal because we cannot stop it to happen not because it is natural but the real cause of climate change is doing wrongful activities or illegal use of our resources. We cannot determine in our own manner that we can prevail climate change in fact its difficult to deal because climate change is base in our everyday living. Climate change is a change in the statistical distribution of weather patterns when that change lasts for an extended period of time (i.e., decades to millions of years). Climate change may refer to a change in average weather conditions, or in the time variation of weather around longer-term average conditions (i.e., more or fewer extreme weather events).More recent data are provided by the instrumental record. General circulation models, based on the physical sciences, are often used in theoretical approaches to match past climate data, make future projections, and link causes and effects in climate change. Climate change is a long-term shift in the statistics of the weather (including its averages). For example, it could show up as a change in climate normals (expected average values for temperature and precipitation) for a given place and time of year, from one decade to the next. We know that the global climate is currently changing. Climate change is a long-term change in the statistical distribution of weather patterns over periods of time that range from decades to millions of years. It may be a change in the average weather conditions or a change in the distribution of weather events with respect to an average, for example, greater or fewer extreme weather events. Climate change may be limited to a specific region, or may occur across the whole Earth. Climate in our world is indeed at risk. Well, aside from corruption climate change is one of the biggest problem in the whole world. Imagine if mother earth has her own voice maybe she is now shouting to us "Ouch!" whenever we burn plastics, cut the trees, and poison the seas she provide for us. The real fact is the earth is being killed not dying and guess who are the suspects, us. Climate change is a terrible problem now and should be treat seriously and we need to take steps to care for it. If we don't take actions now, who should be? We are living in this planet as if we had another one to go to.